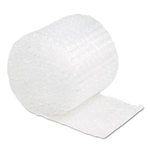 Economy Bubble Rolls - 3/16" and 1/2"
BBL 25024 P - Bubble Rolls - QPS HD Large 1/2" - - 24" x 250', Perforated Every 12"
BBL 25048 P - Bubble Rolls - QPS HD Large 1/2" - - 48" x 250', Perforated Every 12"
BBL 75012 P - Bubble Rolls - QPS Small 1/8" - - 12 " x 750', Perforated Every 12"
BBL 75024 P - Bubble Rolls - QPS Small 1/8" - - 24 " x 750', Perforated Every 12"
BBL 75048 P - Bubble Rolls - QPS Small 1/8" - - 48 " x 750', Perforated Every 12"
Our bubble options are available in ECONOMY and HEAVY DUTY grades. ECONOMY bubble is a cost effective product that is recommended for short ship/storage cycles. 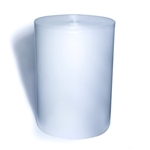 Our HEAVY DUTY (non stock item subject to vendor lead time) product line is recommended for fragile, valuable items that require extra cushioning for longer ship/storage cycles. 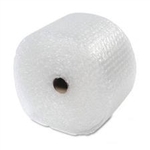 Our stock bubble roll bubble sizes include: 1/2 inch large bubble, 5/16 inch medium bubble (non stock item subject to vendor lead time) and 3/16 inch small bubble. Bubble Rolls may ship UPS oversize; drop ship options available. Quick Product Solutions delivery options apply to Arizona customers.